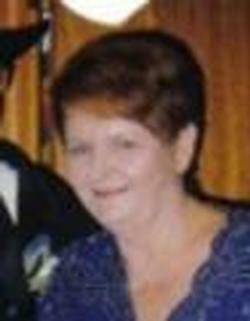 Opal Marie Paige of Blackwell, Oklahoma, died Wednesday afternoon, January 10, 2018, in the Blackwell Regional Hospital at the age of 74 years. Opal Marie Paige, loving known as Pope to her family, was born on November 20, 1943, in Perry, Oklahoma, to Denzil Edward and Martha Opal (Harris) Ross. She grew up in Perry and attended Perry Public Schools. Following her education she married Kenneth Keith Edgar in 1961 in Perry and to this union two sons were born, Corey Dee and Steven Eugene Edgar. He preceded her in death on May 16, 1976, and she later married Charles “Chuck” Reynolds and they adopted a daughter, Tina Marie in Oklahoma City. While in Perry, Opal worked at the Kumback Restaurant until the couple moved to California where she attended cosmetology school and became a certified beautician. Upon their return to Oklahoma City, she opened and operated her own salon. They later moved to Blackwell and she began working for Southwest Cupid. He preceded her in death on July 7, 1996. On December 28, 1996, she married Kenneth Ray Paige in Blackwell and they made Blackwell their home. Opal later began working in home health care until her health forced her retirement. She is a member of the Bethesda Assembly in Blackwell. She is survived by her husband, Kenny Paige of Blackwell; two sons, Corey Edgar of Perry and Steve Edgar of Bruceville, Texas; a daughter, Tina Marie Lopez of Ponca City; four sisters, Raedean Goodwin of Muskogee, Shirley Hromas and husband Cletus of Blackwell, Joyce Clonts and husband Hubert of Blackwell, and Katherine Wagner and husband Bill of Wichita, Kansas; a brother, Eddie Ross and wife Donna of Arkansas City, Kansas; a brother-in-law, Samuel Henderson of Perry; eight grandchildren; six great grandchildren; and many nieces and nephews. She was also preceded in death by her parents; two sisters, Billie Ruth Henderson and Norma Rolling; and two brothers-in-law, Richard Goodwin and Clarence Rolling. Services are scheduled for 1:30 p.m., Tuesday, January 16th in the Bethesda Assembly in Blackwell with Rev. Lonnie Rutherford officiating. Burial will follow in the Blackwell Cemetery. A memorial has been established in her honor with Shriner’s Children’s Hospital in c/o Roberts and Son Funeral Home, 120 W. Padon, Blackwell, Oklahoma 74631.